Sometimes all the conditions can be right and the cake still turns out a bit soggy – such is the volatility of game development. The Castlevania name stayed with Spanish series saviours MercurySteam for last year’s Lords of Shadow sequel – but reaction was so bad that its director dubbed reviewers “blind or stupid”. Some time away might be what the studio needs – and appears to be exactly what they’ve got. 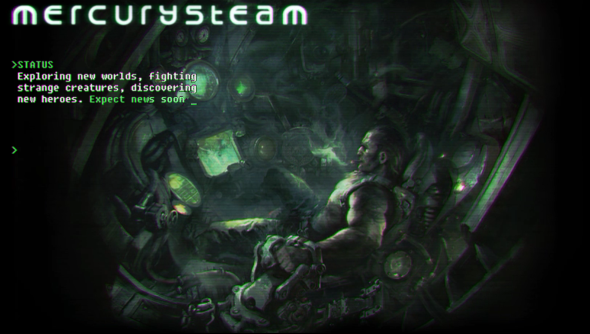 The MercurySteam site is fronted by a new page today, which reports that they’re off “exploring new worlds, fighting strange creatures, discovering new heroes”. The background image invokes Ridley Scott-era Alien in its embryonic meeting of man and machine. A cigar-smoking action hero sits surrounded by a complicated array of interlinked electronics and green screens – though you have to wonder whether his bulging biceps would allow much movement. Fancy clambering into a claustrophobic cockpit to give the Lords of Shadow lot another chance?